With Croyde Woolacombe and Saunton all eleven miles or under this lovely property is in an ideal location for exploring the North Devon coast. For pretty traditional coastal villages and quaint shops to potter around Ilfracombe Lynton and Lynmouth are also well worth a visit or head west and jump on the Oldenburg boat to Lundy Island from Bideford. 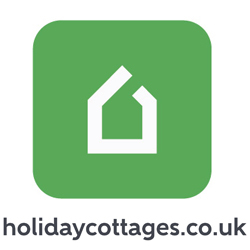 Other attractions and places of interest accessible from here include Exmoor National Trust s Arlington Court Combe Martin Wildlife and Dinosaur Park and miles upon miles of South West Coast Path. Or visit Barnstaple with its wide range of indoor activities such as a swimming pool theatre and cinema which is approximately a twenty minute drive away. Stepping inside this delightful property you will immediately find yourself in a light and airy lounge/kitchen/diner. This contemporary and sociable open-plan lounge area boasts a stunning vaulted ceiling and beams and Smart TV the French doors to outside enable you to make the most of the outside space. The kitchen/dining area is also well-equipped and offers an electric oven and hob microwave fridge/freezer dishwasher and washing machine. Located on the same level are the bedrooms a lovely double and a cosy twin. The shower room with shower and WC is situated next to these. Heading outside a secluded patio area is located to the side of the property and this boasts a lovely Swedish wood-fired hot-tub garden furniture and a charcoal BBQ and provides a perfect place to relax after a day exploring. There is also a large shared lawn area with garden games a lake (please ensure all children are supervised) picnic benches and a large field to the rear of the property perfect for morning dog walks. There is allocated parking for two cars in the on-site parking area.